NO ONE EVER SUSPECTS THE GOOD ONE. Brett and Kelly have always toed the line between supportive sisters and bitter rivals. Growing up, Brett was the problem child, in the shadow of the brilliant and beautiful Kelly. In adulthood, all that has changed. Kelly is a struggling single mother and Brett has skyrocketed to such meteoric success, which has been chronicled on a reality TV show called Goal Diggers. When Kelly manipulates herself onto the show and into Brett’s world, Brett is right to be threatened. Kelly, and only Kelly, knows her younger sister's appalling secret, and it could ruin her. This reading group guide for The Favorite Sister includes an introduction, discussion questions, ideas for enhancing your book club, and a Q&A with author Jessica Knoll. The suggested questions are intended to help your reading group find new and interesting angles and topics for your discussion. We hope that these ideas will enrich your conversation and increase your enjoyment of the book. From the New York Times bestselling author of Luckiest Girl Alive comes a blisteringly paced novel centered around Goal Diggers, a reality TV series featuring hyper-successful women in New York City. When Kelly, the older sister of fan favorite Brett, joins the cast, the producers expect drama. What they never expect is that the season will end in Brett’s murder or that each of the cast members has a plausible reason for wanting her dead. So . . . who did it? The Favorite Sister follows an unforgettable cast of women, all with secrets to hide, all with one thing in common: unbridled ambition in a world that forces women to make shrewd calculations for professional–and personal–gains. In a story that shocks and upends expectations, Jessica Knoll offers a scathing take on the oft-lionized bonds of sisterhood, and the realities of a culture that pits woman against woman, sister against sister. 1. Discuss the title of the novel. Who do you think the “favorite sister” in the title is? Explain your answer. Did you prefer one sister to the other? Which one and why? 2. Brett notes, “It is a dangerous thing to conflate feminism with liking all women” (p. 18). Explain her statement. How do you think Brett would define feminism? Would you consider any of the Goal Diggers feminists? What do you think is the message of the show? 3. Discuss the structure of The Favorite Sister. What’s the effect of having a distorted time line? Throughout the novel, both Brett and Stephanie share details of how the producers of Goal Diggers use various tricks to enhance the feeling of suspense and drama during the season. What types of methods do they use? Does Knoll use similar tricks in her writing? Describe them. 4. Early in the novel, when discussing Brett, Kelly says, “Don’t get me wrong—I loved my sister, but I saw her too” (p. 3). Were you surprised by her statement? Do you think many of people in the novel “saw” Brett as Kelly did? Did your opinion of Brett change throughout the course of The Favorite Sister? 5. Did you find all of the narrators in The Favorite Sister reliable? Which ones did you trust? When and why do the Goal Diggers cast members lie? How does it help them to survive both on the show and offscreen? 6. Brett says, “Being right is a hell of a drug” (p. 276). Explain her statement. What prompts Brett to declare that she is “right”? At various points during the novel, several of the Goal Diggers cast members thinks they are “right” and feel they have the moral high ground. Give some examples. Do you think that the season of righteous indignation that the women have is justified? Does it lead them to make any bad choices? Which ones and why? 7. Describe Brett’s proposal to Arch. Did you think, like Kelly, that “A proposal like that sounds more like a business proposition” (p. 288)? Knowing what you do about the relationship, how might Brett view this assessment as a threat? What did you think of Brett’s relationship with Arch? Did you think that they complemented each other as a couple? 8. When Brett is interviewed prior to the start of the most recent season of Goal Diggers, Erin, her interviewer, asks what role Brett thinks she plays in the group dynamics of the show, saying “I guess I just mean everyone has their role, right?” (p. 18). Why do you think Brett is reluctant to answer the question? When Brett does answer, she says she’s “kind of the underdog” (p. 19) and, later in the novel, describes herself as “the Greek Chorus” (p. 30). Do you think that her self-assessments are accurate? Why or why not? What role do you think Brett occupies? If you were in a reality show, what role do you think you would take on? 9. Stephanie says that she can see the other cast members of Goal Diggers “are damaged in some way. We must be. Why else would anybody sign up to be tossed out?” (p. 161). Why do you think that people choose to appear on reality shows? Would you? What reasons do Stephanie and the other cast members have for appearing on the show? 10. When reflecting upon her friendship with Yvette, Brett says, “It’s a complicated dance, to be friends with the mother of a woman neither of us likes very much” (p. 90). Describe Brett’s friendship with Yvette, comparing it with Brett’s relationship with her own mother. What do each of the women gain from their friendship? How does Brett try to navigate their mutual dislike of Jen? What reasons do Brett and Yvette have for disliking Jen? What did you think of Jen? 11. Stephanie describes Brett as “approachable,” and says, “It’s part of what the audience loved about Brett, part of what I loved about her, at least in the beginning” (p. 39). Did you find Brett approachable? Describe the dynamics of her friendship with Stephanie. What did each woman like about the other? Were you surprised to learn what led to the end of their friendship? Why is each woman so unwilling to share the true story behind their fight? 12. Yvette tells Brett “Nearly all women can stand adversity, but if you want to test someone’s character, give her power” (p. 93). Describe how each of the women on Goal Diggers reacts when they are in positions of power. Do they all use their power and influence wisely? Did you find any of their behaviors surprising? If so, which ones and why? 13. Several of the women in the cast of Goal Diggers have nicknames assigned to them by the show’s audience. Do you think that Brett’s nickname, the Big Chill, suits her? If not, what would you use instead? Discuss the nicknames that the other women have been given. What are the nicknames? What are they meant to convey about each cast member? 14. When discussing her marriage, Stephanie proclaims, “I am not a cheater. I am an outsourcer” (p. 207). Explain her statement. Is there a difference? Do you think Vince would agree? Describe their marriage. Did you think that Vince and Stephanie were a healthy couple? 15. Describe Layla. Were you surprised that Kelly allowed her to be in the Goal Diggers cast? Kelly says, “Kids should be disciplined, but they should never be unloved” (p. 136). Can you think of examples where Kelly enacts this philosophy? What did you think of Kelly’s methods for raising Layla? How is Kelly influenced by her own upbringing? 1. While they are close friends, Brett and Stephanie plot their own “Lauren and Heidi feud” (p. 172). Watch the infamous “You Know What You Did” episode of The Hills with your book club. Did it pique your curiosity about what ended Lauren and Heidi’s friendship when you watched it? Compare Lauren and Heidi’s feud to Brett and Stephanie’s. How did the former inspire Brett and Stephanie? 2. When Brett stays at Stephanie’s apartment, Stephanie introduces her to the concept of “the Jesus year,” which she says is “the year you realize it’s now or never. You cash in your 401(k) to open an ice-cream shop in Costa Rica” (p. 168). What do you think of the concept? If you were to take a “Jesus year” what would you do? Share your ideas with your book club. 3. On the way to Morocco, Brett encourages Layla to watch Election, telling her, “It’s about female ambition, and the lengths people will go to extinguish it” (p. 219). Watch Election and discuss it with your book club. Do you see any parallels between the events in Election and Goal Diggers? Does Tracy Flick remind you of any of the cast members? Who and why? 4. 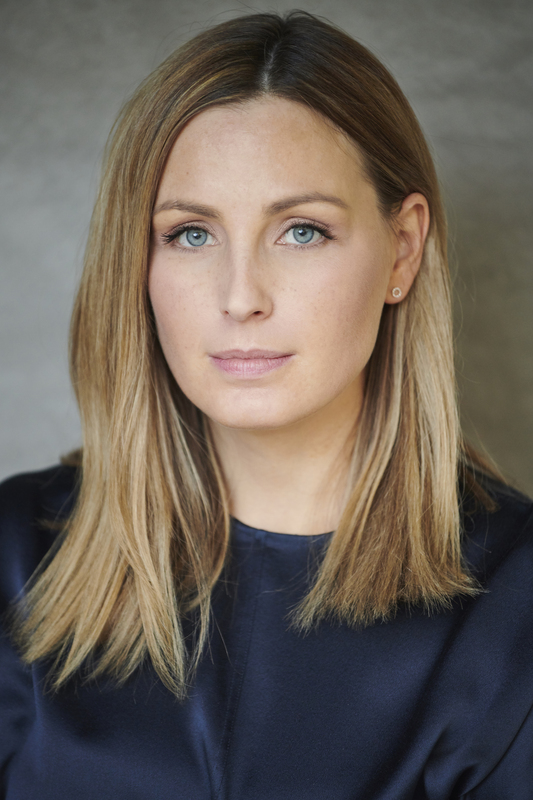 To learn more about Jessica Knoll, read reviews and find out when she will be in a city near you. Visit her official site at www.jessicaknoll.com. 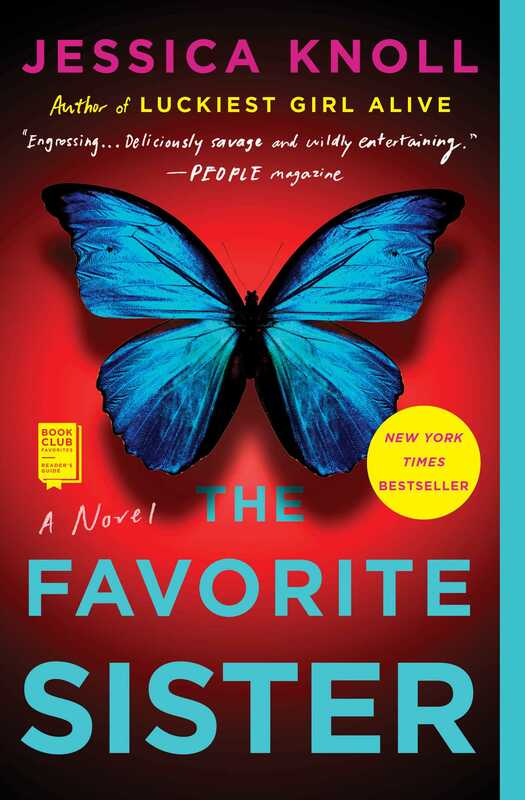 Congratulations on the publication of The Favorite Sister! Your first novel, Luckiest Girl Alive, was a critically acclaimed instant New York Times bestseller. How did the experience of writing The Favorite Sister compare? Since your first book was critically and commercially successful, did you feel added pressure while writing this one? If so, how did you deal with it? There was not just more pressure this time around, but life was busier. I wrote Luckiest Girl Alive while I had a full-time job as a magazine editor, and even though it was a lot to juggle, it felt much more manageable than writing The Favorite Sister. Over the last three years, I have written three screenplays for major studios, moved across the country, and addressed the long-buried trauma that inspired Luckiest Girl Alive. My emotional and creative energy were well below base, but I was also determined to write a knockout second book. I believe I accomplished that, but it was not easy and it was not pretty. The Favorite Sister is told from multiple points of view. Why did you choose to structure the story in that way? Was it difficult to switch between the voices of the characters as you were writing? Which sections were your favorite to write? Why? I wanted to tell the story from multiple points of view because I think in real life, people rarely see themselves honestly. We’ve all had that moment where we become privy to the way others view us, and it can be a real gut punch when it is at odds with the way we view ourselves. I wanted to capture that feeling of surprise for the reader—that Oh, I thought I had this character’s number but now I’m hearing about her from someone else, and I have to readjust. I wanted “reality” to feel slippery, like no one could be trusted, like anyone could be guilty. While Stephanie is on tour for her new book, she shares lessons that she’s learned from previous book tours, including “no silk blouses” (p. 81) and “keep tissues at the ready” (p. 83). Did this advice come from your own experiences while you were touring for Luckiest Girl Alive? Is there anything you wish that you had been told before your first book tour? These details are not things I picked up on my book tour for Luckiest Girl Alive, but I did experience some very raw and emotional moments with readers. I was so raw myself, having just revealed the details of my own sexual assault in an essay for Lenny Letter, and I came home feeling overwhelmed, depressed, and depleted. I don’t know if there was any way to avoid this, and if anything, it sparked a new phase of my therapy that taught me how to empathize while also creating boundaries so that I don’t end up crushed beneath the full weight of others’ trauma. Before you were a novelist, you worked as a magazine editor. Did your background as an editor help you transition to writing full time? If so, how? Do you have any advice for aspiring writers? Magazines were a great place to get my feet wet, to refine my voice, and to develop a strong hook. It was also a critical networking opportunity. I love writing books, but I don’t want to write a book no one is going to read. You need people in the media to love and support your book, and I worked the connections I made over the years to ensure my book launched with a certain level of visibility. My biggest piece of advice to anyone who wants to write a book is be willing to hustle. Writers are creative types who may feel uncomfortable promoting themselves—I know I did—but it’s a necessary skill to develop. In many cases the “rules” that Stephanie says the cast members live by seem to invert those of traditional reality shows on television. Were there any specific shows that you had in mind when you were creating Goal Diggers? Can you tell us about them? Why was it important to you to show how mindful the women on the show were about their behaviors? We live in a world that rewards women for following the rules. When I moved to New York and started building my career, the rules for women felt more progressive, but they were still rules I felt I had to follow—no children before the age of thirty-five or I wasn’t serious about my career, no heels because they’re outmoded but here! Wear these five-hundred-dollar sneakers instead. They’re still rules that women have to play by to assimilate and get what they want, and that’s what I wanted to show—how much emotional labor is required of ambitious women in addition to the blood, sweat, and tears that go into any successful enterprise. Luckiest Girl Alive was optioned and is being developed for a feature film. Many of the scenes in the novel were cinematic. Did you write it with a film in mind? What has the experience of seeing your novel made into a movie has been like? I never come at a book with an idea that I think would make for a great movie or TV show. I come at it with a great idea for a book. Now that I have adapted three novels into scripts—one of them my own—I’ve learned that you can turn almost any great book into a great movie or a TV show. But the key to writing a great book is to make the reader feel emotionally connected to the story, and you will not accomplish that if you’re focused on writing something for a studio exec. The Favorite Sister is incredibly intricately plotted. Can you tell us about your writing process? How were you able to keep track of all of the twists and turns? I cut and cut and cut and rewrote and rewrote and rewrote. It is devastating to delete whole chapters, but it is also necessary once you get deeper into the story. I don’t outline—I find my way once I am in the trenches. Oftentimes a twist or reveal will occur to me, and I realize that in order to make it track, I have to go back one hundred pages, get rid of a chapter, and replace it with a new one. There were a lot of devastating moments with this one! All of the characters in The Favorite Sister are so well fleshed out they could be cast on today’s reality shows. Were they based on any one in particular? How did you come up with them? They’re all amalgams of Real Housewives. I won’t say who—if you watch, you should be able to identify which women are represented in the story. The relationship between Brett and Stephanie is derived from a friendship between two of the women on one of the franchises. I watched old episodes to familiarize myself with the dissolution of their friendship—it was a fascinating and heartbreaking story line any Housewives fan worth her salt will remember. Many of the characters in The Favorite Sister are hiding secrets that are at odds with their espoused values. Were you able to identify with your characters and the choices they made? I’m not hiding any egregious secrets like the women in the book, but I can identify with getting a little taste of notoriety, and the desire to white knuckle it. These women are survivalists. Not survivors. Survivalists. They will do what it takes to remain in the public eye, no matter how despicable, and then they are rewarded for it with more airtime and a renewed contract! In what other space are women rewarded for bad behavior? The Real Housewives are not concerned with being likable; they’re concerned with being interesting—how refreshing! What do you hope that readers take away from The Favorite Sister? I hope it’s a fun, juicy ride with moments of profundity about the monetization of girl power. I am working on three exciting projects that I am not at leisure to discuss at the moment! Once I power through those, I will get cracking on my third novel, which is based on one of the most fascinating true crime cases of the century.